Randomly make the perfect choice EVERY time with this magical Decision-Aider. 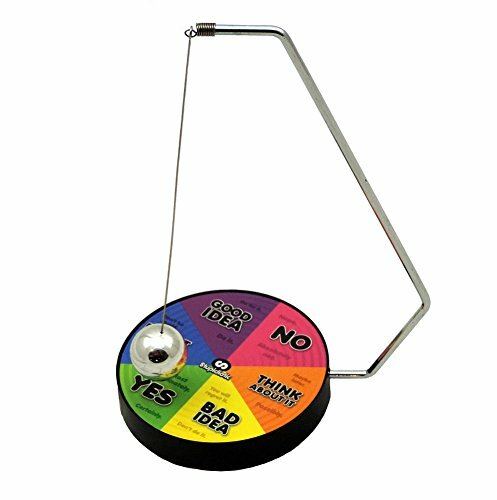 Simply ask your question, swing the pendulum, and the magnetic ball will point to the perfect answer! Makes A Great Gift For The Indecisive Friend! If you have any questions about this product by Stupidiotic, contact us by completing and submitting the form below. If you are looking for a specif part number, please include it with your message.